Military activity killed many birds on Midway Atoll during World War II. Between 1954 and 1964, 54,000 birds were killed as a result of control measures to reduce risk of collisions with aircraft at Midway. From 1964–1965, collisions with communications antennas on Eastern Island killed more than 3,000 adults. Antennas were demolished in 1967. 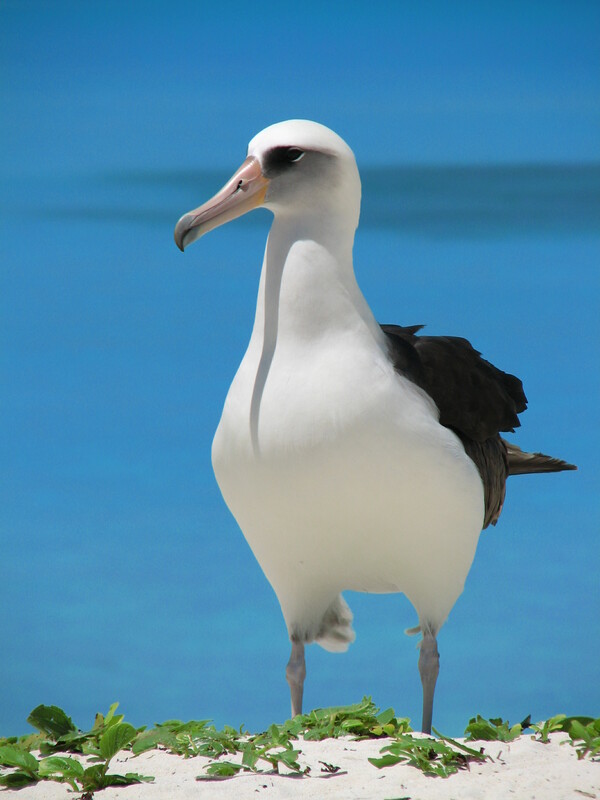 Wisdom, the world’s oldest known breeding bird in the wild, nests exclusively on Midway Atoll NWR. About 33% of global population nests on Midway Atoll NWR. 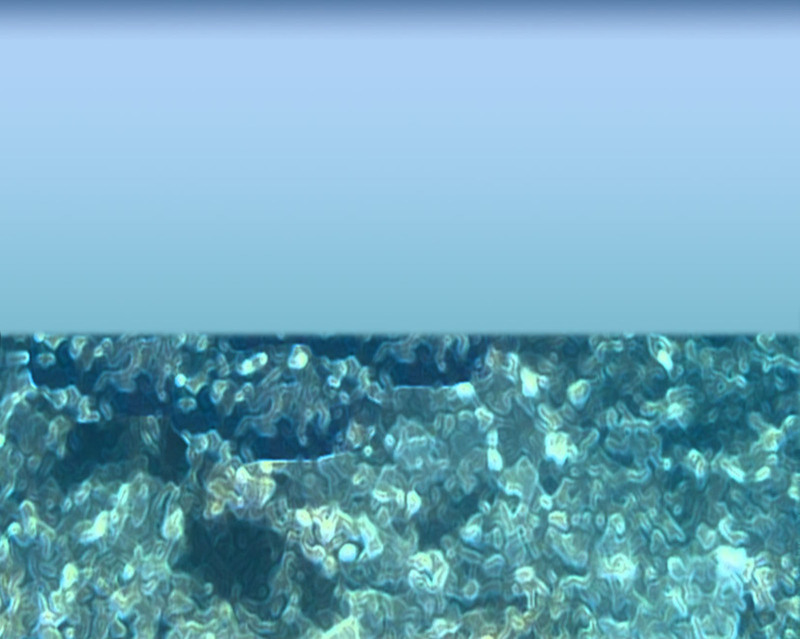 Vulnerable to longline fishing and sea-level rise. Chicks hatch December through January, fledge 5-6 months post-hatch. Thought to be extinct in 1949; Short-tailed Albatross is listed as “Endangered.” Current world population is about 3,400 individuals. Chicks were translocated from Torishima to Bonin Islands (Mokujima) from 2008-2012 to expand breeding colony range. 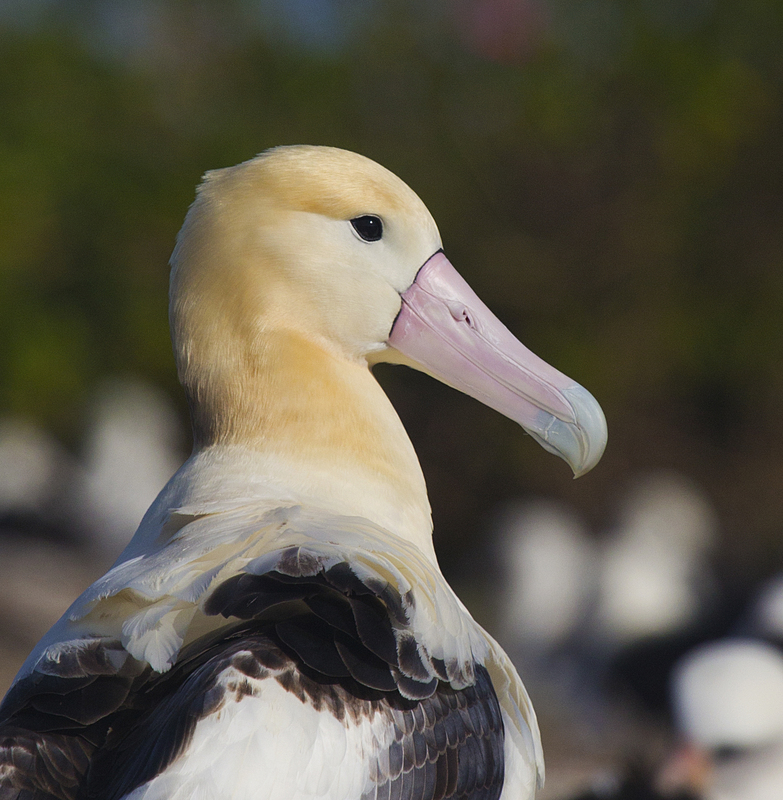 On average, 1-2 pairs breed on Midway Atoll NWR each year. 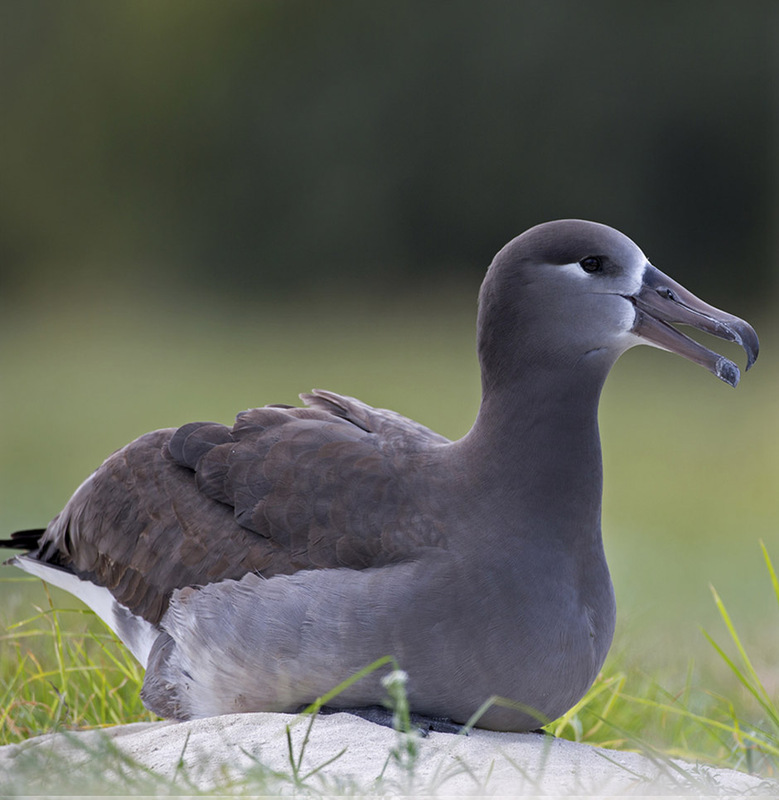 Short-tailed Albatross decoys have been in place on Eastern Island for several years to entice more Short-tailed Albatrosses to nest there. Key threats: active volcano at primary nesting colony (Torishima) and longline fisheries.